12 of the best. Well, 12, anyway. 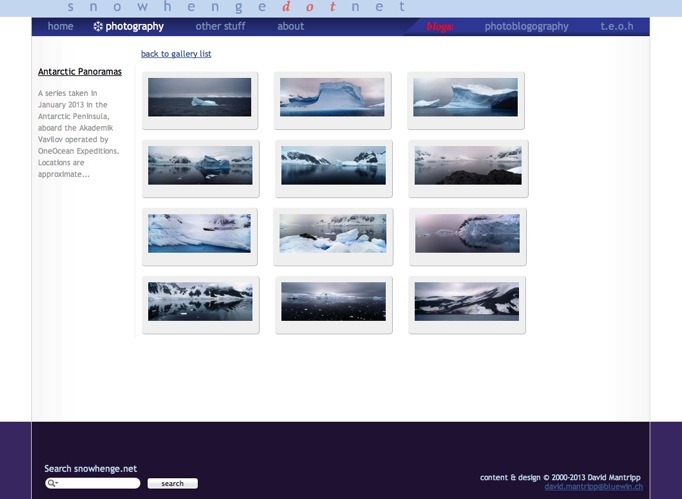 I’ve just added a portfolio of 12 Antarctic panoramas to my photo galleries. The captions will need updating, once I can figure out where the locations really are. But that’s not terribly important. I really can’t say at this point if these area the “best” of the 200 or so candidates, but they’re a representative selection. It really was that gloomy!